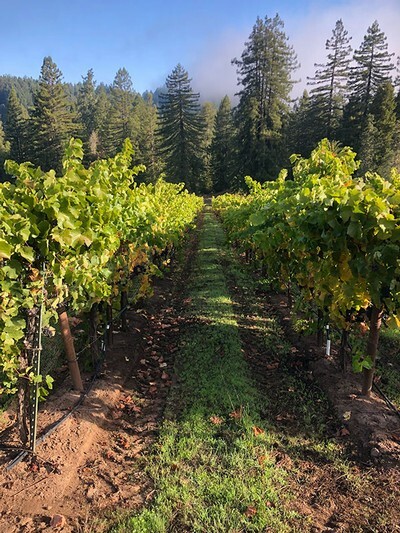 In our search for the best Pinot Noir sites on the Sonoma Coast, we came across this beautiful, sloping vineyard tucked away in the redwoods west of the town of Occidental. While there, we noticed three black birds perched above the vineyard, watching over the vines—thus the name. Join Zardo and Charlie Chenoweth as you explore and taste this lucurious, cool-climate vineyard. The tour will start at 11am at the vineyard site, walking through with Charlie Chenoweth and Zardo as you taste through the wines produced from this vineyad.